Well, the tench beat me again, although I did have a decent fish roll over my bait this week. The biggest confidence boost was to catch something, although quite what it was I'm not sure, on fake corn in the dark. For some reason I'd got it in my head that fake baits only work in daylight. So landing the hybrid above was most welcome - not just because it prevented another blank. No longer will I hit the hay with the nagging doubt that my fake baits are a waste of time and I'd be as well fishing with bare hooks. 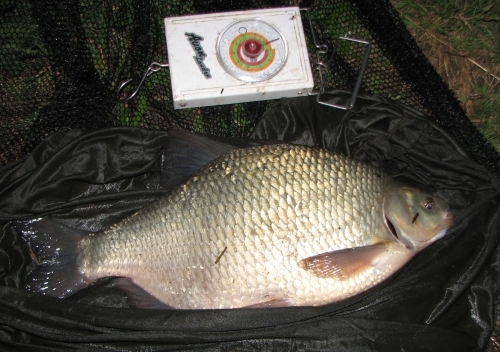 PS General consensus on the Total Coarse Fishing forum is that the fish is a bream/rudd hybrid.